There’s nothing like a trip to the boardwalk at the Jersey Shore, and you can get a head start on your family’s summer memories and save over 45% during the Casino Pier Easter Sale from April 18th to April 22nd. Between the zips and whirls of the amusement rides, to scoring the big prize at boardwalk games, to mini golf, water slides, and cotton candy galore, the kiddos will be all smiles this summer at Casino Pier & Breakwater Beach in Seaside Heights. Buy your passes online from Thursday, April 18th to Monday, April 22nd. They’ve even made it super simple for you so you can print or ship your tickets. If you prefer to purchase in person, just head over to the Breakwater Beach admission windows at the park entrance, Casino Pier sales booths and under Rooftop Golf from Friday, April 19th to Sunday, April 21st between 11AM to 6PM. #NJMOM tip: Get there between 1PM and 3PM on Saturday and Sunday and enjoy face painting and special guest appearances. Get ready for thrills, swings, slides and splashes on select dates starting in May. 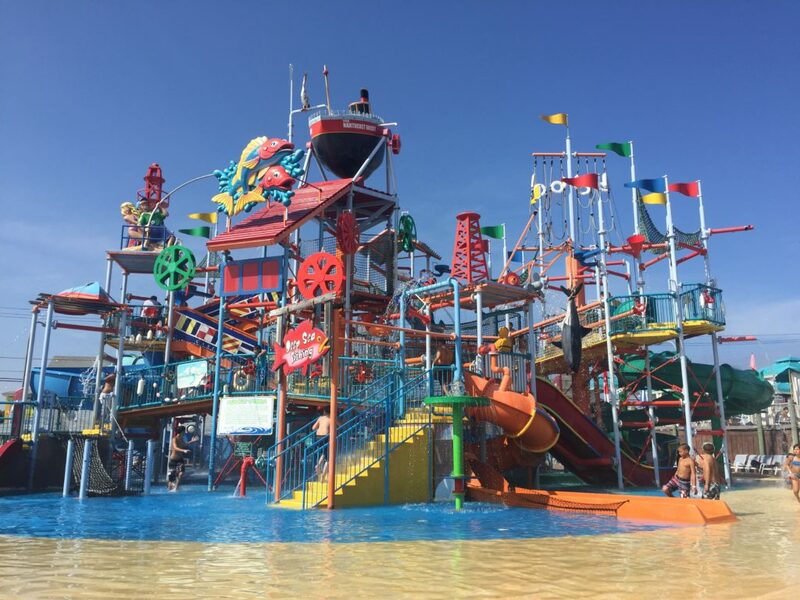 Check out the full 2019 ride calendar here and the full waterpark schedule here. Psst! We love sharing your adventures around New Jersey. Don’t forget to hashtag #NJMOM and tag @njmom and your little cuties could be featured in our next photo round-up.